Hank Pfister. 55 years young in 2006. I live with my wife, Pat, in the Blue Ridge Mtns. just south-west of Roanoke, VA. We built our house in 1992 on 3.5 acres of land. I work in the Roanoke valley as a Paramedic/Firefighter. I've been a paramedic since 1985. 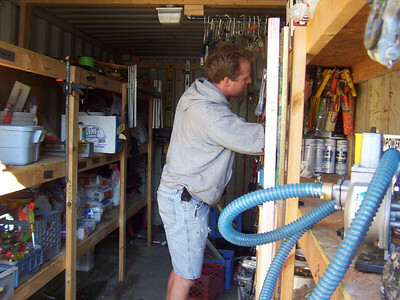 Prior to that I worked as a carpenter for various construction companies. 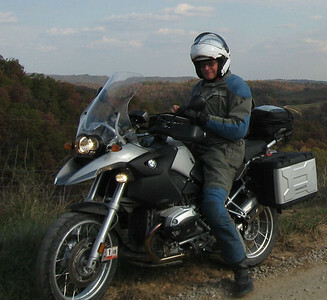 I've been riding BMW motorcycles since 1973 when I bought a 10 year old BMW R60/2. 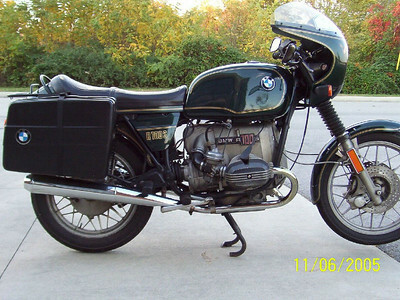 I later sold it and bought a 1973 R75/5 that I still have. Currently the /5 has a Dnepr sidecar on it. I also have a 2007 BMW R1200GS, and a 1984 R100RS with a Motorvation Formula 11 sidecar.